The amount of Rs. 14 lakh was seized by the police from the assessee on 03.03.2008. At the time of seizure, the assessee did not mention that the amount seized belongs to his uncle. Because of the suspicious behavior and lack of explanation on the part of the assessee, the police seized the amount and same was produced before the Judicial Magistrate. Later it was claimed by Sri. Abdul Sathar, uncle of the assessee that the money belonged to him. It was stated by Sr. Abdul Sathar that the amount sized from the assessee on 03.03.2008 is out of the withdrawals made by him on various dates. The Assessing Officer and the CIT(A) have found that the withdrawals made by the uncle of the assessee is in the month of September to November 2007 and the seizure is in the month of March, 2008. As rightly pointed out by the CIT(A), no prudent businessman would keep such a huge amount of cash in his custody for such a long time. The Assessing Officer has also found that Sri. Abdul Sathar, the uncle of the assessee was a businessman having business connection in Kasargod and Mumbai and could have easily transferred the money from Kasargod to Mumbai through banking channels. There is no direct nexus between the withdrawal of the amount from bank account of Sri. Abdul Sathar and the seizure of amount from the assessee on 03.03.2008, hence it cannot be concluded that the assessee has properly explained the source of money that was seized from his custody by the police. If Rs. 14 lakh does not actually belonged to the assessee, the assessee need not worry about the taxation of the same because assessee cannot be fastened with a tax liability of more than Rs. 14 lakh. As mentioned earlier, there was no explanation from the assessee that the cash seized from him belonged to his uncle. As rightly pointed out by the CIT(A), that the entire story about the money belonged to Sri. Abdul Sathar is not only an afterthought but also highly improbable story. Therefore, we see no reason to interfere with the order of the CIT(A) and we confirm the same. It is ordered accordingly. This appeal at the instance of the assessee is directed against the CIT(A)’s order dated 09.02.20 15. The relevant assessment year is 2008-2009. 2. The solitary issue that is raised in this appeal is whether the CIT(A) is justified in confirming the addition of Rs. 14,00,000 u/s 69A of the Income-tax Act. 3.1 A sum of Rs. 14 lakh was seized from the assessee by the police on 03.03.2008. The assessee did not give any satisfactory explanation about the source of Rs. 14 lakh. The assessee had stated that he was a supplier in hotel in Mumbai, and was on his way to a friend’s house but could not remember his friend’s name. The police not being satisfied with the explanation of the assessee, seized the cash found with him and produced the same before the Judicial Magistrate. 3.2 Later, Sri. Abdul Sathar, uncle of the assessee filed a petition before the Judicial Magistrate Court and claimed that the cash seized from the assessee belonged to him. It was stated by the uncle of the assessee that he is engaged in import and export of certain accessories . It was stated by Sri. Abdul Sathar that an amount of Rs. 14 lakh was withdrawn on different occasion from his NRI account for purchase of a flat in Mumbai and since the purchase of flat did not materialize, the amount was entrusted with the assessee to be handed over to the father of Sri. Abdul Sathar. 3.3 The Assistant Director of Income-tax (Investigation) had also filed a petition for the release of seized cash for proceedings under the Income-tax Act. The Judicial Magistrate, by his order dated 13.08.2008 had given interim custody of cash to the Asst.Director of Income-tax (Investigation), Kozhikode. Subsequently, the Hon’ble High Court of Kerala disposed off the criminal miscellaneous case filed by Sri.Abdul Sathar, wherein he was directed to furnish bank guarantee for a sum of Rs. 14 lakh and execute a bond undertaking to produce the amount before the Judicial Magistrate or before the Income-tax Authorities as and when directed. Accordingly, the amount of Rs. 14 lakh was released to Sri.Abdul Sathar. (i) All the amounts were withdrawn immediately after credit. (ii) The amounts were drawn in cash by unidentifiable persons. (iii) The amounts withdrawn contained 990 notes of 1000/-, 60 notes of Rs.500/- and 4000 notes of 400/- whereas the seized cash contained 28 notes of Rs. 1000/-, 2148 notes of Rs.500/-, 2460 notes of Rs.100/- and 1040 notes of Rs. 50/-. (iv) As claimed by Shri Abdul Sathar, out of the amounts withdrawn Rs. 14,00,000/- was kept at his home which was later taken to Mumbai, kept there for some time and brought back through the assessee. According to the Assessing Officer, on analysis of the denomination of currency notes, (as stated in (3) above) there is no relationship with the amount seized and the amount withdrawn from the bank. (v) As per the FIR, at the time of interception by the Police, Shri Sharaffuddin tried to run away. On being questioned about the sources of cash he could not give any satisfactory reply. It was stated by the assessee that he was going to a friend’s house but could not tell his friend’s name. He had not mentioned the name of his uncle, viz., Shriu Abdul Sathar. According ot the Assessing Officer, had it been the cash belonging to his uncle, he could have easily told so. (vi) There are contradictions in the sworn statements given by Shri Sharaffuddin and Shri Abdul Sathar before the ADIT (Inv. ), Kozhikode as stated in the assesment order in para- 11. (vii) Further, it was noticed by the Assessing Officer that the withdrawals were made long ago, and the assessee could have waited till the deal was finalized for drawing the money from bank. 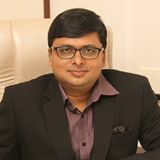 Moreover, being a business man having business connection in Kasargod and Mumbai, Shri Sathar could have easily transferred the money through banking channels. 3.5 Finally it was concluded by the Assessing Officer that the money seized from the assessee had no connection with the money withdrawn from NRE account of Sri. Abdul Sathar and the whole story that the money belonged to Sri.Abdul Sathar is only an afterthought. The Assessing Officer concluded that the assessee had failed to explain satisfactorily the source of cash of Rs. 14 lakh seized from the custody of the assessee. Accordingly, the sum of Rs. 14 lakh seized by the police from the assessee was assessed to tax u/s 69A of the Income-tax Act. 5. Aggrieved by the order of the CIT(A), the assessee has filed the present appeal before the Tribunal. The learned Counsel for the assessee reiterated the submissions made before the Income-tax authorities. The learned Departmental Representative, on the other hand, supported the order of assessment and the order of CIT(A). 6. We have heard the rival submissions and perused the material on record. The amount of Rs. 14 lakh was seized by the police from the assessee on 03.03.2008. At the time of seizure, the assessee did not mention that the amount seized belongs to his uncle. Because of the suspicious behavior and lack of explanation on the part of the assessee, the police seized the amount and same was produced before the Judicial Magistrate. Later it was claimed by Sri. Abdul Sathar, uncle of the assessee that the money belonged to him. It was stated by Sr. Abdul Sathar that the amount sized from the assessee on 03.03.2008 is out of the withdrawals made by him on various dates. The Assessing Officer and the CIT(A) have found that the withdrawals made by the uncle of the assessee is in the month of September to November 2007 and the seizure is in the month of March, 2008. As rightly pointed out by the CIT(A), no prudent businessman would keep such a huge amount of cash in his custody for such a long time. The Assessing Officer has also found that Sri. Abdul Sathar, the uncle of the assessee was a businessman having business connection in Kasargod and Mumbai and could have easily transferred the money from Kasargod to Mumbai through banking channels. There is no direct nexus between the withdrawal of the amount from bank account of Sri. Abdul Sathar and the seizure of amount from the assessee on 03.03.2008, hence it cannot be concluded that the assessee has properly explained the source of money that was seized from his custody by the police. If Rs. 14 lakh does not actually belonged to the assessee, the assessee need not worry about the taxation of the same because assessee cannot be fastened with a tax liability of more than Rs. 14 lakh. As mentioned earlier, there was no explanation from the assessee that the cash seized from him belonged to his uncle. As rightly pointed out by the CIT(A), that the entire story about the money belonged to Sri. Abdul Sathar is not only an afterthought but also highly improbable story. Therefore, we see no reason to interfere with the order of the CIT(A) and we confirm the same. It is ordered accordingly. 7. In the result, the appeal filed by the assessee stands dismissed. Order pronounced on this 14th day of November, 2017.